It is time to sign up once again for your Chase rewards if you have that card. The new rewards period runs from 1 January to 31 March 2013. These may seem a bit limited but I know I will definitely make up a good chunk on gas and drugstores so I am not even worried about the Starbucks. 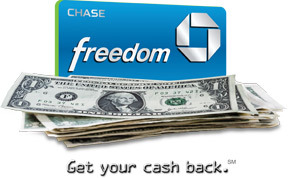 Just remember to switch out your regular gas card for your Chase card so that you can get the bonus cash back. In addition to this you also keep earning your 1% cash back on all other purchases so it is win win situation for you!! What better way to have a Merry Christmas than to know that your purchases of gas from travel will earn you some great cash that you can use in the New Year. It’s very interesting, looks like a great deal. Thanks for sharing this information.